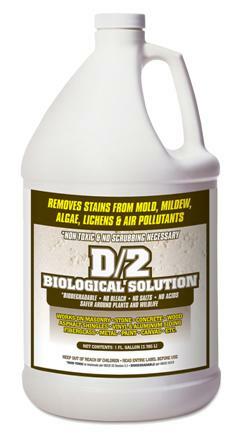 D2 Biological Solution | Holland Supply Inc.
D2 Biological Solution is a biodegradable, easy to use liquid that removes stains from mold, algae, mildew, lichens and air pollutants. It is effective on marble, granite, limestone, brownstone, travertine, masonry, terra cotta, concrete, stucco, wood, and other architectural surfaces including monuments, sculpture and headstones. A contact time of only 10 to 15 minutes followed by scrubbing with a soft nylon or natural bristle brush will loosen most biological and air pollutant staining. D2 Biological Solution is effective for removing harmful biological and air pollutant staining from many building materials including masonry, marble, granite, limestone, brownstone, travertine, terra cotta, concrete, stucco, wood, canvas and vinyl & aluminum siding. 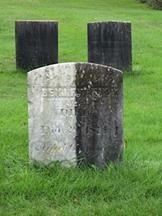 D2 is the best option for cleaning headstones and cleaning monuments. Fast acting: 10 to 15 minutes contact time for great results. D2 Biological Solution is non-mutagenic, and contains no carcinogenic compounds as defined by NTP, IARC, or OSHA. It is considered essentially non-toxic by swallowing, as it has an oral LD50 of 2.0 g/kg of body weight. No special ventilation is required during use. 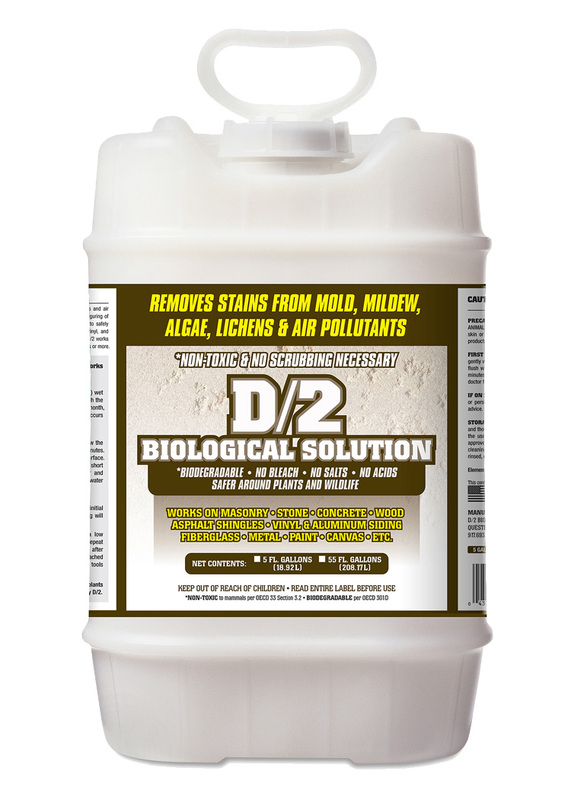 D2 Biological Solution is available in 1 quart, 1 gallon and 5 gallon containers, and 55 gallon drums. The area that can be treated with one gallon of D/2 will vary considerably as a function of the nature and extent of biological deposits, as well as the physical characteristics of the surface. Typical coverage to remove medium deposits will vary from 250 to 350 square feet per gallon. D2 is a quaternary ammonium solution with surfactants to enhance cleaning capabilities.